The weather has been such a fickle beast, hot and humid one day and cold and rainy for several. In fact we're in for a few cool, rainy days, so ladies, you'll need to adjust your footwear. 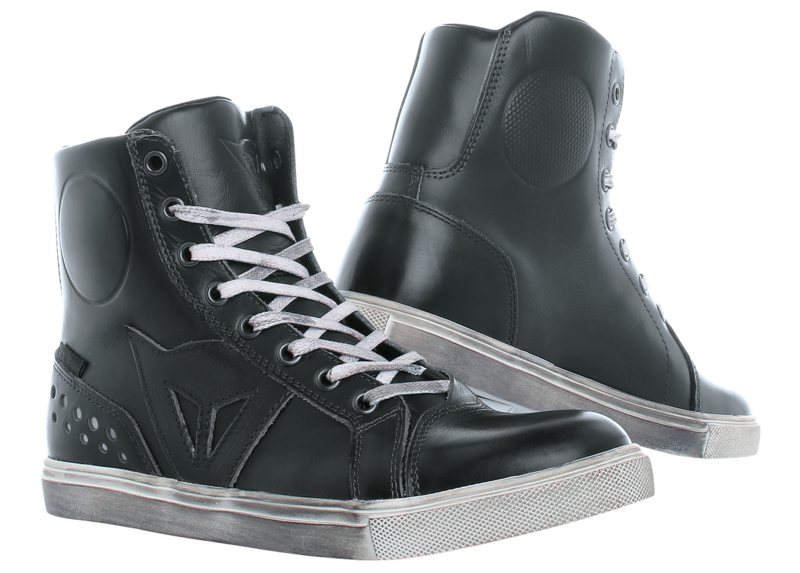 Rainy days means waterproof shoes so today we highlight the Dainese Street Rocker D-WP Leather Sneakers. It boasts a full grain cowhide leather upper with a handcrafted vintage effect, a waterproof D-WP interior, lace-up closure, rigid heel inserts and reinforced insoles. It's a fresh take on protective moto boots. Get it in dark brown or black for $209.95 each on www.dainese.com/us.